Viginia took me to the temples and the markets.She has detailed knowledge of various things about Hong Kong.So I could know more about Hong Kong than I expected.She was always happy,so I could have a happy time. We had a comprehensive city tour with Virginia. She was very knowledgeable about the architecture and the local sites. She took us to an authentic to dim sum restaurant which was a great experience. She picked out the highlights for us and got us to each one quickly. I would highly recommend Virginia for anyone seeking an overview tour of Hong Kong. Virginia is a great guide who knows all the ins & outs any tourist (or local) would need to know about Hong Kong! When we were together she brought us to great restaurants, and when we were apart she gave excellent recommendations of other places to eat (she even provided directions on how to get there from our hotel)! Any tourist looking to see both the local and tourist side of Hong Kong would be lucky to have her! Our trip would not have been the same without her guidance - definitely use her! Virginia is clearly well versed in all things Hong Kong! She took us on a great hidden loop of Victoria's peak, to one of the 2 remaining push cart dim sum restaurants, and brought us to a beautiful temple. She was always on time, had great food recommendations for when we were not together, and provided easy to follow directions from different locations to other parts of Hong Kong for when we were apart. Thank you for your thoroughness, Virginia! Virginia was a great guide! She took into account all the things we wanted to do, all the places we wanted to eat, and could not have been more pleasant. She was punctual, gave great recommendations for when we were not together, and took the time to send CLEAR step by step directions from different locations to other parts of Hong Kong. She clearly knows the city well, and any tourists would be lucky to have her. Thank you for making our trip memorable, Virginia! Spent two days with Virginia touring Hong Kong. She was fantastic. She is knowledgeable, patient and fun to be with. We never would have appreciated all that Hong Kong has to offer without her guidance. I strongly recommend her to ensure a memorable time in Hong Kong. Virginia is awesome!! 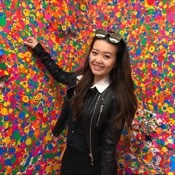 If you are coming to HK definitely grab her for a tour! She was able to customize the tour around my preferences and while we were able to see some main landmarks we also got into the local neighborhoods and markets. I enjoyed my tour and highly recommend Virginia! Virginia was a delight to spend time with seeing the sights and experiencing the culture that Hong Kong had on offer in such a short space of time that I had. In 4 hours we travelled to Victoria's Peak, Markets, Man Mo Temple, the lions of HSBC and the shoreline. We ate at a traditional tea house parlour. It was a wonderful introductory experience to Hong Kong. Virginia loves showing tourists her city, her enthusiasm and knowledge along with her friendly and professional character make her an ideal host. Virginia, provided a great food tour, with history of area included. Will definitely repeat! Virginia was a great guide, and the perfect companion to see the city with, especially as a lone traveler. I felt I was being shown around by a friend who knew all the right places to take me. She shared a lot of information about the city, past and present, and had a good grasp of the history of the things we were looking at. And if you like good food, you will be in the right hands; I had a couple of authentic food experiences that I loved. All in all a very enjoyable time that I would highly recommend. Virginia was great!!! She gave us an amazing experience of Hong Kong! She gave us an in-depth history lesson of the city, a mini foodie tour and lots of laughs! We highly recommend taking one of Virginia's tour, she's the best! We had a great time guided by Virginia on 3/3/2018, she is an excellent tour guide with local knowledge plus her language capability - really made our trip memorable! Spent a spectacular day with Virginia. She was knowledgeable, accomodating and creative in her tour. Highly (best possible) recommendation! Only wish I had another day or evening to spend with her. Virginia is a excellent tour guide! Very knowledgeable and easy going. I had a specific agenda of certain places I wanted to visit that were out of the normal. She tailored the tour to my specifications and made sure I saw everything I wanted to see. I would highly recommend Virginia to anyone wanting to visit Hong Kong! 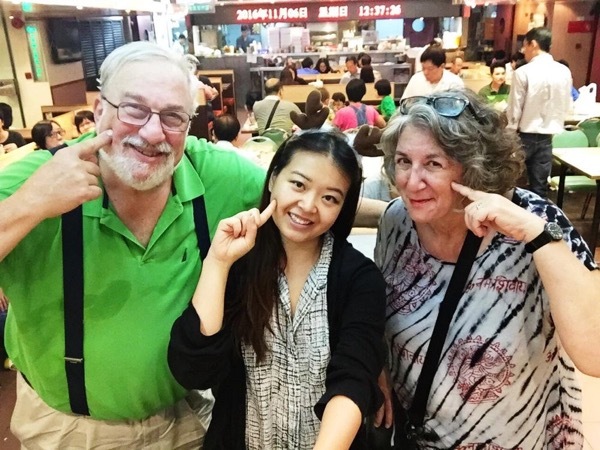 I am extremely pleased with the time I spent with Virginia in Hong Kong as my guide and would most certainly use her again and refer to anyone looking for a guide. Virginia was very impressive in terms of her knowledge as well as passion towards food! Great ability to customize based on preferences as well. We considered ourselves adventurous, but she shared amazing experiences with us that we would not be able to find ourselves. Would recommend in a heartbeat! A wonderful tour - we had a very enjoyable and informative time with Virginia. I would recommend the tour and this lovely guide. TOUR GUIDE RESPONSE: Thanks so much Marianne =) Loved the tour! Virignia was charming, friendly,knowledgeable and informative. We really enjoyed our time, had fabulous food and could not have had a better guide. Highly recommended. Over and beyond! Virginia was great and gave me an amazing tour around HK. She was mindful of my preferences and tried to customize. She wanted to squeeze in as many experiences possible within the time that we had. Very easy to be with (no awkwardness at all). It felt like we were friends a long time and catching up while going around. She was very knowledgable - knew her history and knows secret 'insider' information not everyone knows about. Highly recommended! She's worth it and more! Virginia was a wonderful guide. The sign of a great guide is being able to read your customer and knowing how to tailor your tour. Virginia could tell that we were quite able and willing to walk even in the Hong Kong heat and adjusted to that. She also changed our lunch to a dim sum restaurant more patronized by the local crowd from the original plan. We wanted a tour that highlighted the local flavor, more a "day in the life of" as opposed to the typical tourist highlights and Virginia delivered! TOUR GUIDE RESPONSE: Hi Dale, Thank you so much for your kind comments and I'm very happy you enjoyed your time during the tour =) We were very lucky with the weather as it's currently T1 as I'm writing this so we lucked out with the great views of the city at the Tsim Sha Tsui promenade. I hope you have an amazing rest of your time in Hong Kong and enjoy your time in China as well. Thank you once again for being such wonderful guests with such open minds and an appreciation for different cultures! Virginia was timely, very approachable and knowledgeable. Gave me more than I asked for for a private tour. 10/10 would recommend again. Try the stinky tofu....it is amazing!